We Offer Mechanical Solutions and Expert Advice, NOT Sales Pitches! The regular and proper maintenance of your air conditioning system is absolutely essential to keeping your AC running at peak efficiency. This is especially true here in Southwest Florida. On average, most home AC units have a life expectancy of 8-12 years. However, here in Florida (and particularly in coastal regions, like ours), air conditioners generally last 8-14 years on average. This is a direct result of the extreme weather to which they are exposed, as well as the high concentration of humidity and salt that is present in our coastal air. Having your air conditioning system regularly serviced can be the difference between a unit that lasts 25 years and one that conks out before 10 years. At Juli Klein's AC Services we take a different approach than many of the air conditioning companies in our area. When you request a maintenance service call, we send out an experienced HVAC professional, not a sales technician with a "quota to meet". We will always check the manufacturer's warranty to see if any parts that may need replacing are covered under the original manufacturer's warranty and promise to NEVER attempt to sell you anything that you don't need. Why Pay For Something you Haven't Received? We do NOT sell "Annual AC Maintenance Programs"; instead, we will mail you a friendly reminder postcard bi-annually. 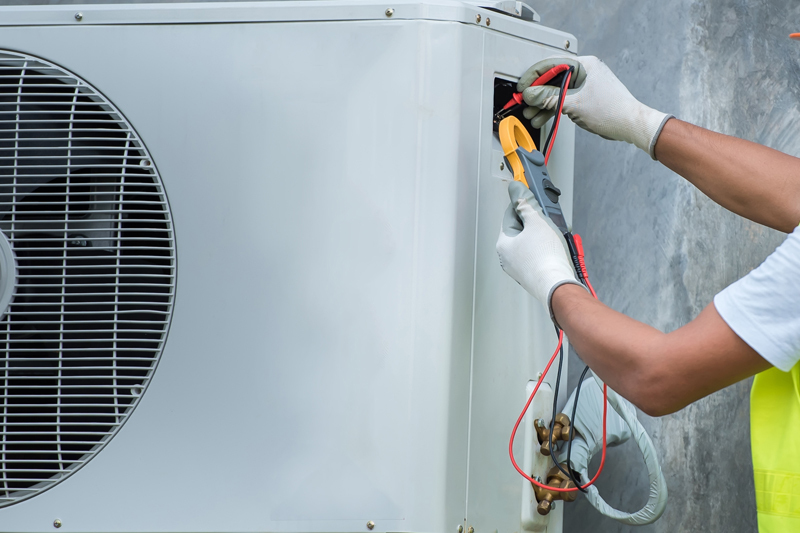 Many local air conditioning service companies push these "Annual Maintenance Programs" on their clients and then simply do not follow through with the maintenance services that were purchased. We strongly recommend that you do not pay for services that have yet to be rendered.